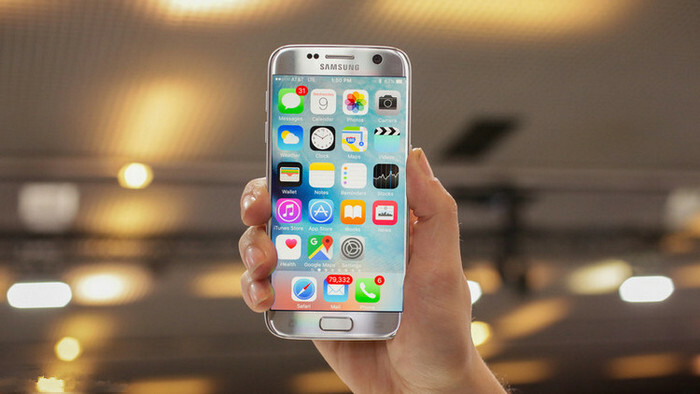 Samsung Galaxy S7/S7 Edge, as one of the most expected gadgets of 2016, was officially unveiled on 21 February 2016 and is scheduled to be released on 11 March 2016 in Europe and North America. This article will provide you an easy way to free download and transfer YouTube videos to Samsung Galaxy S7/S7 Edge for offline playback. As a great and clean YouTube Video Downloader, Any Video Converter Ultimate enables you to download and transfer Youtube videos to Samsung Galaxy S7/S7 Edge with original quality kept. Simply free download this Youtube Video Downloader for Samsung Galaxy S7/S7 Edge, and play YouTube videos on your Samsung Galaxy S7/S7 Edge offline. How to Download YouTube Videos to Samsung Galaxy S7/S7 Edge? Step 1. Add video urls and start downloading Youtube videos for Samsung Galaxy S7/S7 Edge. How to Transfer Downloaded Youtube Videos to Samsung Galaxy S7/S7 Edge? Of course, you can trenasfer these downloaded Youtube videos to your Samsung Galaxy S7/Edge via an USB cable, but here we would like to recommend another easier way to do this job. Syncios Mobile Phone Transfer will do you a favor to transfer Youtube videos to your Samsung Galaxy S7/S7 Edge freely, it is an all-in-one iOS & Android Manager for syncing video, images, music between iPhone, iPad, iPod, Android and PC. Step 1. Download an install Syncios Mobile Manager on your computer. After installed, double-click the icon to open the program. Then, plug your Samsung Galaxy S7/S7 Edge into computer with USB cable. Step 2. Under "My devices", tag on "Media" on the left panel. The Media section includes all music and video files on your phone. You can simply click on the icon on upper right corner to switch to video folder. Step 3. Click on the "Import" button, choose downloaded YouTube video files in your computer and import to your Samsung Galaxy S7/S7 Edge. Note: it also enables you to drag and drop videos between Samsung Galaxy S7/S7 Edge and computer.